This Week in Native: Adwords Gets Its First Major Update In A Long Time. Plus — Who Is Pied Piper? Google's text ads get a massive makeover on mobile, Facebook makes it easier for publishers on the Audience Network to go native, who will own the news, and don't miss the latest startup – Pied Piper. Google rarely makes changes to the search experience, but this week they announced big changes to ads on mobile. On mobile, we love to tap, swipe and pull on content. We also have an immediate need for information. So it's only fitting for ads to show everything you need in a visual and efficient form, in a card. 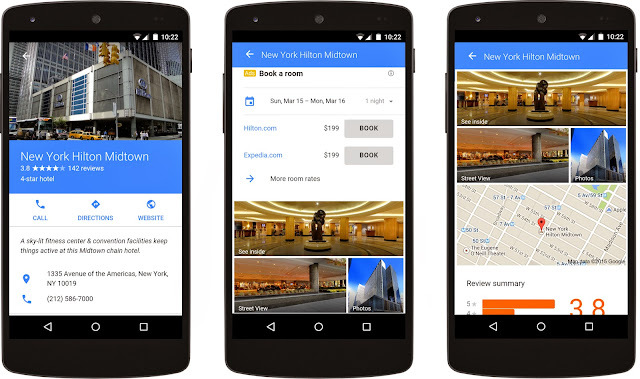 Google said that it's starting off with custom ad units for automotive, hotels and mortgage brands. For advertisers, this is an awesome opportunity. Before, you could only have a few lines of text in your search ads, but now, you can have a gallery of images, prices, product information and expand to fit the full screen. These new tools will help publishers in Facebook's Audience Network easily implement native ads, but with templates, there are limitations to making an ad truly native and fully integrated. Expanding this ecosystems of publishers adopting native ads over banner ads will allow more advertisers on Facebook to leverage native ads. Millennials are not getting their news from traditional newspapers or television. They get their news from their friends on social networks. For content creators, whether you are a publisher or brand, it is important to think about where you are creating content, where it is lives, how it is distributed and how all of it is changing. Like the rest of the internet, LinkedIn is seeing a deterioration of its display business and an steady growth of their native ad product, sponsored updates. Quarter after quarter, there is strong growth for content marketing. If you don't have a team working content marketing, now is the time. If you are a fan of HBO's Silicon Valley, you're likely loving the show's latest marketing campaign. It runs with the jokes from a recent episode, including billboards and a website for the fake startup, Pied Piper. If you don't watch the show, just know that Pied Piper is not a real company and this is just a piece of awesome branded content. In this infographic about infographics (! ), 45% of marketers are currently using infographics in their marketing. Visual storytelling is a great way for brands to get their message across.